The very thought of removing your natural teeth, and wearing dentures can be very intimidating. For different reasons, like injury, illness, or a genetic disorder, many of our dental patients may find themselves in need to improve their long-term health and well-being with dental extractions. If you visit a dentist in Mexico to get your dentures, you will enjoy great- quality work at very affordable prices. It will not take a long time before you have your new and beautiful smile, you will feel confident about. While some patients might need complete dentures done in Mexico, other patients will need just a partial denture treatment. You will need to go through a full exam with our dentist, who will then determine if you need a complete or partial set of dentures. Partial dentures can be used to replace a row of missing teeth, by using the surrounding teeth to attach attaching the custom dentures. This is a great option for patients with generally healthy, who need to remove several teeth in one area. A full set of dentures is usually recommended to patients with significant tooth damage or decay. One of the major concerns for patients, once they are told that the best option for them is to have their teeth removed and fitted with dentures is the length of the healing process. Most of our clients will assume that they will need a period of time for their gums to heal, and during that time, they will be without any dentures, which is a major cosmetic concern for them. Our dentists in Mexico will make sure to provide temporary dentures for our patients. This will give them an opportunity to enjoy a healthy smile while they’re healing. This is required because it might take up to six months for gums to heal properly before they are fitted for placement of permanent dentures. What Types of Material for Dentures Will a Dentist in Mexico Use? 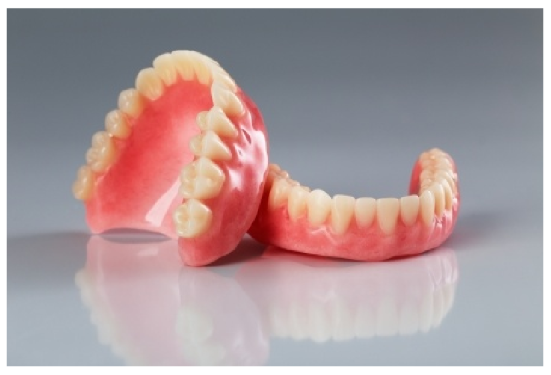 Here in Mexico, the material we normally use for creating dentures is of high quality. It is very long lasting, and it doesn’t matter if you need a partial or full set. 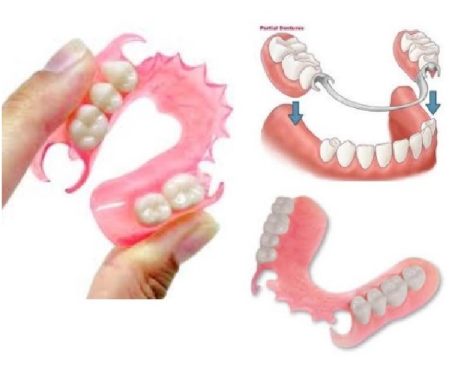 The most common material we use for dentures is the acrylic of top quality. Amongst other materials are megaflex, Valplast and quality metal used for the frame. You rest assured that the materials we will be using are formed to fit your unique anatomy and that it will be comfortable for you to wear. Because the cost of dentures is significantly smaller than the US, many patients decide to come to Mexico. 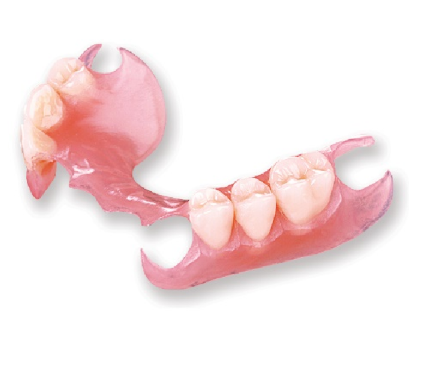 In the United States, dentures can range anywhere from $450 to $1150 per single denture plate. In Mexico, the cost ranges from only $300 to $560 per single plate. In case that you need dentures, you can make significant savings if you choose to work with our doctors in Mexico. You will experience the same, high-quality care and materials as the ones in the US, but at a lot more affordable cost. Our Tijuana dentists offer pricing on general dentistry and implants for just a small portion of the regular price in the USA.